See This Week's MP3 Player Offers! Wednesday Only: 20% Off All Paper and Select Ink and Toner, Plus Free Shipping. Sunday Only: 50% Off Select Computing Software Titles. Wednesdays Only: Save 20% on Ink, Toner, and Paper (Excludes HP). Sunday Only: All Apple Computing On Sale, Plus Free Shipping. Midnight Sale, Online Only, Starts Midnight Through 8 a.m. EST on Thursday (5/19). Connect for a Free Diagnosis! 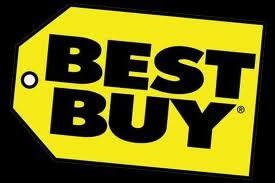 No Matter Where You Bought It, Best Buy Will Recycle It! See this Weeks Fitness Equipment Offers. See this Weeks Laptop Offers. Find the Best Selling Wii Games of the Holiday Season. Xbox 360 Starting at $199.99! Sunday Only: 5% - 50% Off Select Digital Cameras, Plus Free Shipping. Midnight Sale, Online Only, Starts Midnight Through 8 a.m. EST on Thursday (6/9). Check Out this Week's Musical Instruments Offers. Let Geek SquadÂ® Protect Your Computing. See This Week's Sale-Priced DVDs and Blu-ray Discs. Are You Experiencing Pop-Ups, Slowness on Your PC and Virus Problems? Geek SquadÂ® Can Help!